Without training, it is really more difficult than one might suppose to damage an opponent by kicking him - unless, of course, he's already lying on the ground. However, in karate the feet are so thoroughly trained that their use about doubles the scope and effectiveness of one's fighting repertoire. With all kicks, take great care that the supporting leg is firmly planted. It must be capable of bearing the weight of the body, plus the momentum and shock of the attack, without loss of balance. The knee should be bent. The foot should be flat on the ground. It is also of primary importance that the kicking leg should be withdrawn sharply (but smoothly) immediately after impact. The opponent will then have no chance to catch hold of it, and a strong stance can be resumed in preparation for the next manoeuvre. 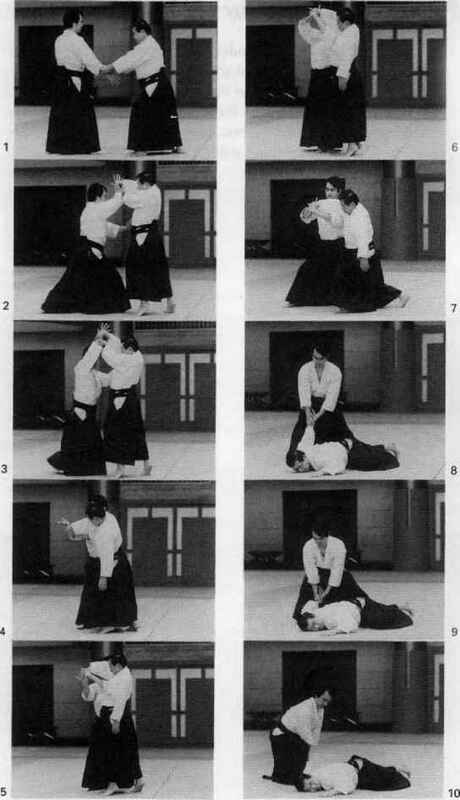 Mae-geri (front kick). The usual striking surface is the ball of the foot. Pulling the toes back makes the ball of the foot more prominent and also prevents the toes from being damaged. Start the kick by pulling up the knee and then snap the lower leg and foot toward the target. Pull back the foot with the knee still held high and finally lower to resume the original stance or to move into the next stance. While performing this kick avoid the common mistake of raising the shoulders, pushing the head forward and buttocks backward. The hips should be pushed forward behind the attack. Yoko-geri (side kick). This technique uses the edge of the foot toward the heel as the striking surface. Actually, there are two side kicks. For the snap kick, raise the knee and point it diagonally sideways toward the target. Then snap the foot upward toward the target from a position close to the other knee. At impact, the hip is twisted sharply inward and the knee of the 'kicking leg' should point directly forward. For the thrust kick, raise the knee straight in front as for the start of the front kick, and then push the foot sideways toward the target. Whereas in the snap kick the foot travels in an arc, here it travels in a straight line. With both kicks, avoid bending the body too far in the opposite direction as this weakens the balance and also the strength of the attack. Both forms of side kick can be performed from any stance, but when attacking to the side the straddle is most commonly used. To give an example, if one is in the straddle stance and the opponent is to one's right, cross the left foot in front of the right, quickly raise the right knee, the right foot passing behind the left knee, then kick (with either the snap or the thrust kick), pulling back the foot before moving it to the right again to take up the straddle stance a doublestep further in the direction of the opponent. Ushiro-geri (back kick). Here the striking surface is the heel. Tehre are again two independent forms - the snap and thrust kicks. The preparatory position for both kicks is more or less as for the front kick, with the knee raised toward the chest and the foot bent upward. The supporting leg must be slightly more bent. Then, for the back snap kick sharply swing the thigh to the rear and snapping the knee strike the target with the heel. The target is usually the groin or the stomach. For the back thrust kick, push the heel to the target in a straight line, the target in this case being the stomach, solar plexus or face. In both cases, keep your eyes on the target and avoid leaning too far forward. Also, in order to kick with maximum power, be sure to kick straight to the rear and not diagonally. Mawashi-geri (roundhouse kick). The swing of the hips through something like ninety degrees in co-ordination with the snap of the knee make this a powerful technique. Bend the knee of the kicking leg and raise it to the side. The knee points diagonally sideward and the foot is near the buttock with the toes and ankle bent well back. Then swing the hips and snap the knee forward, striking the target with the ball of the foot directly in front of the body. Snap the leg back to the preparatory position before resuming the original stance or moving into a new stance. Once again, it is most important not to bend the body too far away from the kick. It is also important with the roundhouse kick not to let the hips swing around too far, as this jeopardizes the balance and makes focusing the kick difficult. Fumicomi (stamping kick). 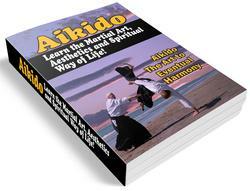 Can be used to the front, rear, or sides, and is useful for attacking an opponent's knee, shin or instep. In all cases the knee is first pulled toward the chest and the foot then thrust downward in a straight line to the target. In stamping to the front, or the rear, the heel is the usual striking surface. To the sides, use the side edge of the foot.